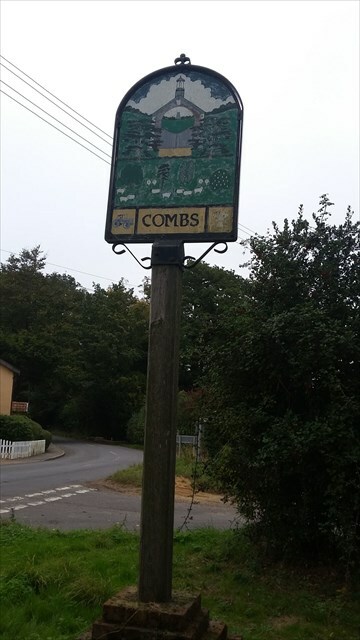 A village sign in the centre of Combs. Easy to drive past if you are not looking for it. Currently a little faded and not at its best, but it deserved a cache. The cache location is a little overlooked so you need to be careful of muggles. You may need to park a way from the cache and walk to GZ. Container is around the size of a vitamin pot and in a camo bag. Xarr uvtu va obyr bs zhygv gehaxrq vil pbirerq gerr.